Organising an international conference, supporting veterinary response to a major disaster, and rescuing horses and llamas are all in a day’s work for Jim Green. Organising an international conference, supporting the veterinary response to a major disaster, and rescuing horses and evacuating llamas during an unprecedented wildfire might make a normal person balk but this was just a normal day in the office for animal expert Jim. The Hampshire Fire and Rescue Service watch manager has just come back from 12 months in America where he has been training US authorities. Funded by the University of California, he has also commissioned research, put together plans to improve working practices and proposed changes in state law. Jim worked as operational lead for the Incidents Involving Animals Project at the University’s School of Veterinary Medicine – which is ranked among the best in the world. 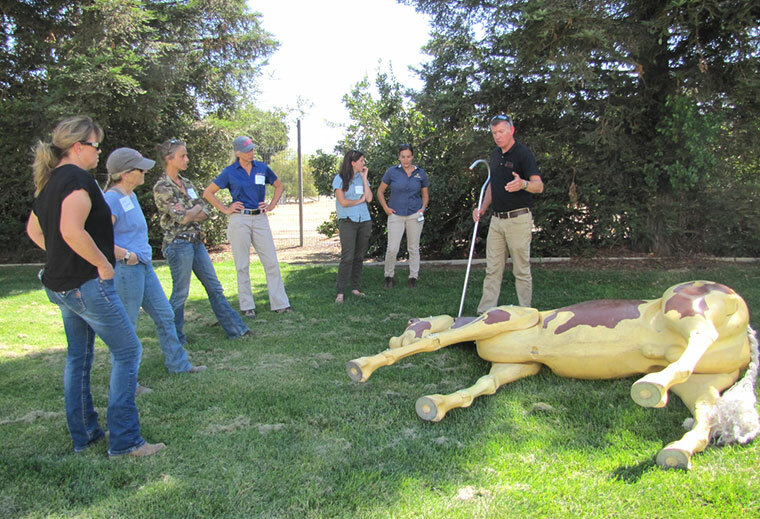 He created an animal rescue response team within the UC Davis Fire Department and delivered training to veterinarians, technical rescue teams and the other fire departments throughout northern California. He has prompted research into a new way of keeping animals calm during rescues with the use of the drug propranolol and has helped establish a culture of multi-agency collaboration among rescue services. Jim said, “A large part of my job was teaching the basics of animal handling and psychology and nurturing an understanding of animal issues. California’s pet ownership is similar to the UK, so there is a 50 per cent chance that first responders will encounter animals at any incident they attend. Among Jim’s proudest achievements was arranging an international conference for 100 delegates from across the US and beyond. Animal experts from a variety of disciplines came from as far afield as Japan, Canada, New Zealand, Australia and the UK, which included Steve Foye, former HFRS area manager, now deputy chief at Royal Berkshire Fire and Rescue Service, who chaired the conference. Jim also devised and led a rescue scenario for 14 Urban Search and Rescue teams taking part in a multi-agency resilience challenge called Urban Shield. This is a US equivalent of the United Kingdom Rescue Organisation (UKRO) Challenge and took place during two days in the San Francisco Bay area. The 44-year-old father of two worked closely with the UC Davis Fire Dept. and spent time with Station 2 Sacramento, one of the busiest in California attracting 6,600 calls on average each year. During his trip he hosted a visit from firefighter Nikki Bridges and crew manager James Malcom from Lyndhurst who were keen to learn more about how US firefighters work. CM Malcom supported Jim during animal handling training and FF Bridges looked specifically at community engagement initiatives around fitness and wellbeing. They also spent time observing the US standards of care in regard to medical response. Jim added, “On a personal level the year abroad has given me experience of being involved in planning for, and participating in, major incidents of a scale you rarely get in the UK and an insight into the US approach to community resilience and integration of volunteers into emergency response. During Jim’s year abroad California experienced one of the wettest winters on record, leading to fears of a breach of the Oroville Dam. It meant 200,000 people having to be evacuated while Jim’s team had to make preparations for the impact on displaced animals in the event of a possible flood. He also experienced one of the hottest summers which led to some of the most devastating wildfires in the state’s history scorching more than 1.3 million acres and, subsequently, deadly mudslides. Jim and the university Veterinary Emergency Response Team were involved in rescuing animals and dealing with animal issues after people had been evacuated from the Sonoma and Napa Valley fires in northern California’s wine region. 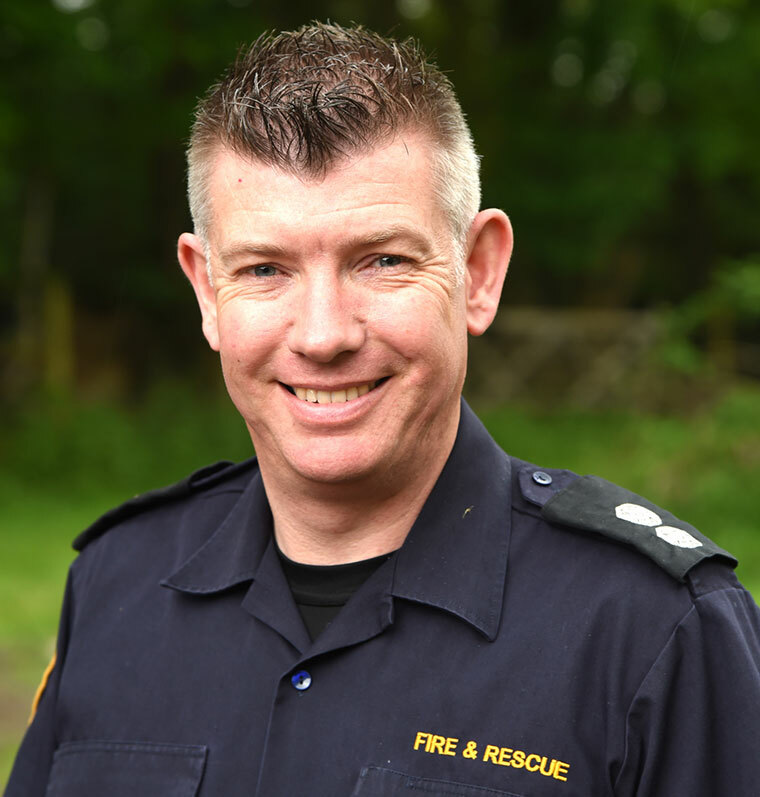 Jim took up the reins of animal rescue for HFRS more than a decade ago and now works in Community Safety. Before joining the fire service he spent nine years in the forestry industry across Britain, and did a one year stint as a bush firefighter in Australia, before returning to his home in the New Forest. Jim is also director and co-founder of the national group British Animal Rescue and Trauma Care Association (BARTA). Princess Anne bestowed a prestigious award to him in his absence last year at the National Equine Forum.